This ranges from our 24/7 exchanges for news, music and children's programmes through to our Eurovision shows. 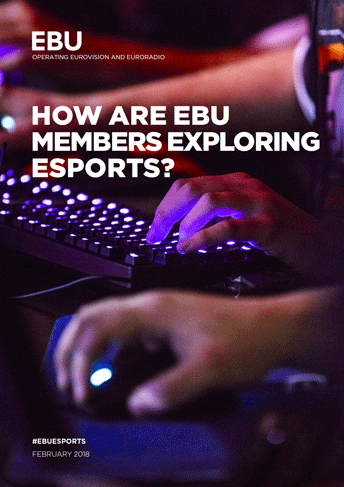 We serve the community of content experts in EBU Members via strategic support, co-creation and exchanges, networking and best practice, and media partnerships. Read the latest news about EBU Media's activities on ebu.ch or sign up for our EBU Media Updates to receive a monthly newsletter in your inbox. Since 2015, Jean Philip has been Media Director overseeing strategy, management, networks and content-related representation. For more than 25 years Jean Philip De Tender worked for VRT, the Flemish public broadcaster in Belgium. He started his career as a journalist working on various television and radio programmes. Later on, as television programme manager, he became responsible for a wide range of programmes covering all genres, from fiction to entertainment, current affairs and reality. From 2007 to 2013, he was the channel manager of Eén, the biggest television channel in Flanders. During his tenure, Eén grew to achieve enormous success, cornering a share of more than 33% and plotting a clear course for public broadcasting. During his last two years at VRT, he was in charge of all television channels (Eén, Canvas and Ketnet). Jean Philip De Tender loves writing and sharing his ideas. Social media has become second nature to him. In 2010, he published his first book, Alles is een verhaal (Everything is a story). An inspiring personality, he often lectures internationally, both inside and outside the media world. He loves reading books and is inspired by everything that crosses his path. His motto in life is to “create order in the chaos and chaos in the order”. We ensure your newsroom always has access to a rich diversity of news items - around 120 every day - provided by trustworthy, reliable sources. Moreover, we clear eyewitness media to provide our Members with a rich source of news and sports news footage from around the world. With around 3,000 concerts by both leading and emerging artists shared every year, this is the world's largest offer of live music. Covering all genres from classical and opera to folk, jazz, world, rock, pop and dance, we provide access to prestigious concerts and performances from venues across the globe to enrich the diversity and quality of broadcasters' music offer. Our Members are working together to produce content aimed at young audiences and families which helps demonstrate the rich cultural diversity offered by PSM. The EBU Co-production Fund has been developed to assist this. The Eurovision Live Events offer Members over 13 hours of exciting live programming bringing broadcasters together and connecting audiences across the globe. 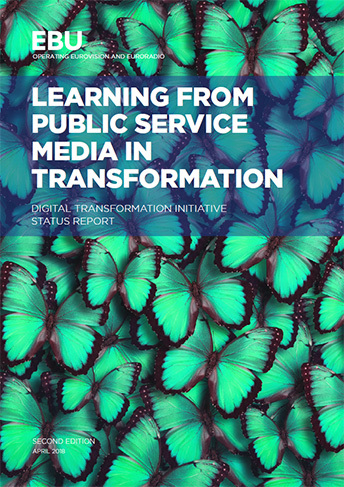 We support our Members in identifying and understanding some of the key strategic challenges for PSM content today, such as digital transformation, fighting fake news, connecting with all audiences or investing in latest trends in content development. 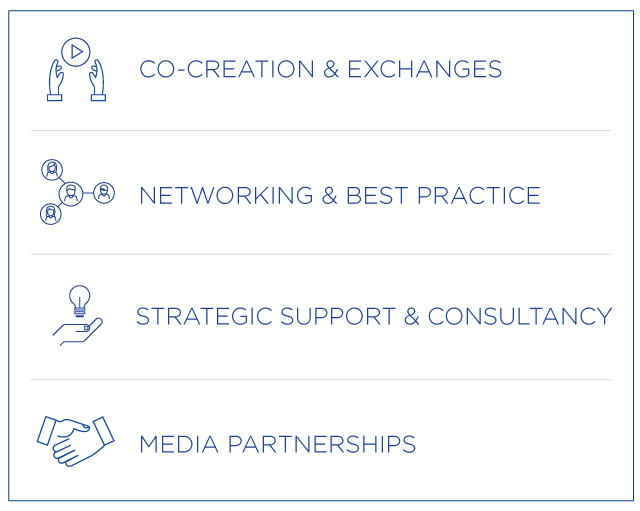 In order to do this, we produce workshops, benchmarking, consultations and recommendations about topics predefined together with our Members. Outcomes of these exercises can often be found on our publications.